Christchurch music lovers are in for a treat. 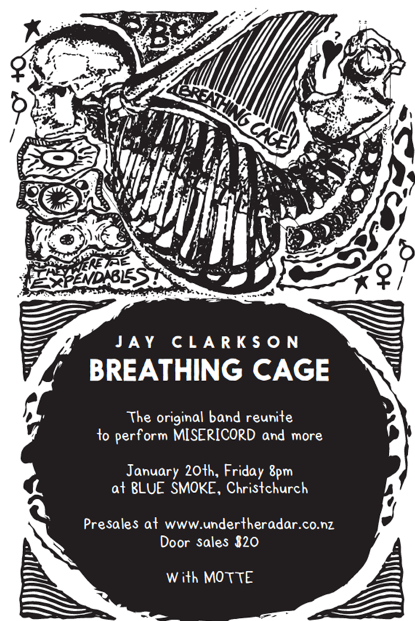 Jay Clarkson and her former band Breathing Cage have reunited to play at Blue Smoke on January 20th. The band will be performing their seminal early nineties album Misericord and more. Presales are now available at www.undertheradar.co.nz and door sales will be $20. Special Guests Motte.